For those who visit this page for the Department of Idaho on the TVD website frequently, oohrah. To those here for the first time, welcome. Here you will find, arguably, everything you need to know about the Department: A listing of Officers and how to contact them; Here you will find locations of Detachments and contact information for their officers. We also include pictures of past events, and links to other Marine related sites including the MCL National website. Let me first say I’d like to thank the Convention delegates for choosing me to serve as the Department Commandant. It is an honor to be elected as your next Department Commandant, and I am humbled by the faith and trust placed in me. This is a responsibility that I do not take lightly, and I will endeavor to represent you with the utmost accountability and commitment. I look forward to the coming year and working in cooperation with the Department Board of Trustees and Staff, and through the support and cooperation of Detachment officers, work toward ensuring the growth, success, and welfare of the Department of Idaho. Please consider stepping up and taking on one of these important and rewarding positions. We need enthusiastic people with fresh ideas to help promote and continue the League traditions. I hope to see you all soon. Please understand that the contact information I have for all of you comes from your Report of Officer Installation (ROI). If the Adjutant (he forwards them to me) does not receive a current ROI from your Detachment communication from the Department may be erroneously sent to an incorrect address. My contact information is located under Directory of Officers; feel free to contact me at any time if you have any suggestions or concerns. I am open to any ideas that you the members might have that will benefit the Department, Detachments and its members. To the visitors at this site, if you are a Marine and possess a DD-214, or a Corpsman or Chaplain who served with an FMF unit for more than 90 days, I urge you to join us by contacting your nearest Detachment. If you have not served as a Marine or Corpsman and wish to join us as an Associate Member, please do. 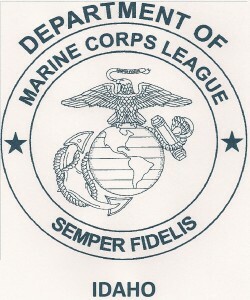 Among our Associate Members are spouses and relatives of Marines. 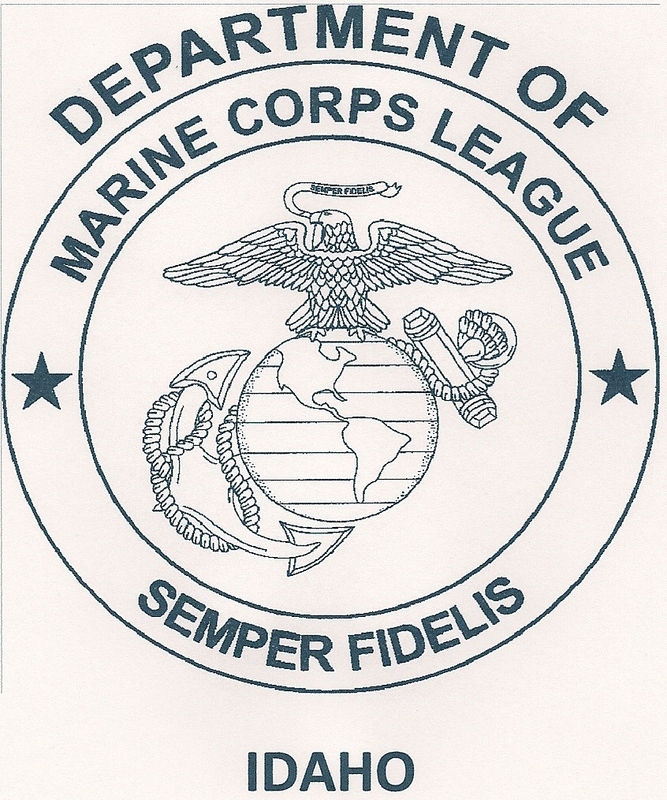 To Marine Corps League members: once a Marine, always a Marine. Stay involved. If you are not a Life Member, keep up your membership when it comes due every year. Bring in new members, ensure they feel welcome, and get them involved in your activities. We are always looking for new members with fresh ideas to share in the camaraderie, esprit, history and traditions of our Corps and to promote our ideals within the great community in which we live. If you are interested to serve in one of our Detachment’s, please contact us anytime, we would love to have you within our ranks! This website has a list of Idaho Detachments http://mclnational.org/Contact/Locator/tabid/737/Default.aspx contact the one closest or check out the National MCL website at http://mclnational.org/ for a more complete listing of Detachment contacts and locations.